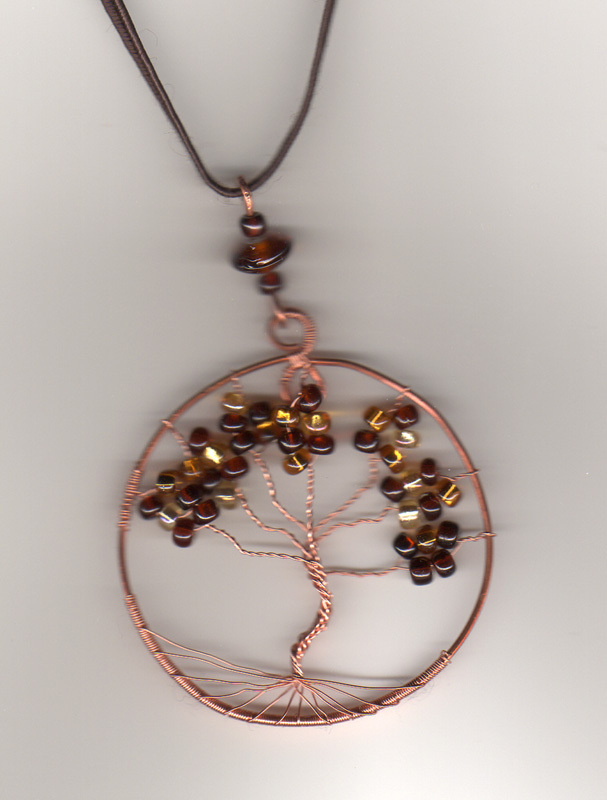 I’ve been seeing a lot of tree pendants in my travels around the internet, and thought to myself – “I can do that!”. Most of the pendants that I saw on line were made with silver or gold wire. Without going to the store, all I had available was copper wire. The wire gauge of the tree is really too fine, but it works for this first attempt. I think it turned out pretty well, just have to figure out how to keep the copper from tarnishing after handling it during the assembly. Wow, it’s been a long time since my last post. I haven’t been blogging because between summer heat, meds and health, I would only have been whining all the time. Now that the temperatures are coming down and it’s beginning to feel like autumn, I’m starting to feel more like my usual self. So I’m hoping to return to posting more frequently. This Saturday I will be going to Lawton for Skrappy Sew Day and we will be finishing up on Melissa’s UFO project. 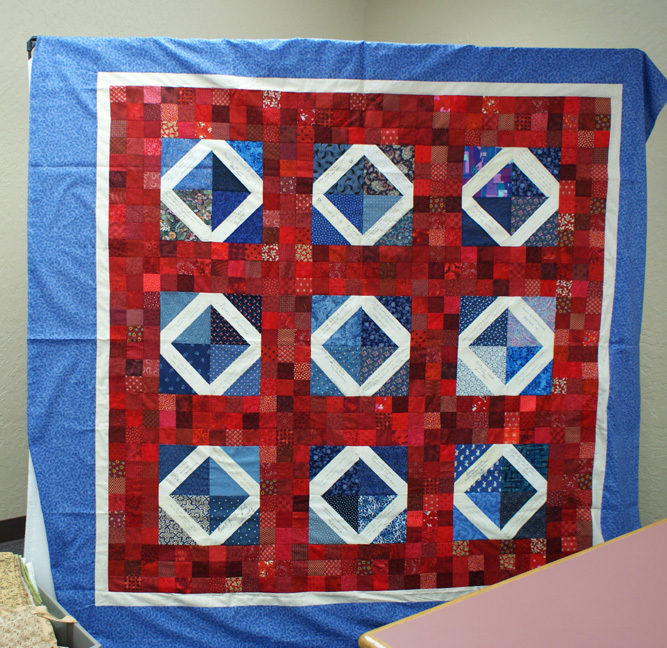 At the Sew Day in July, the Skrappies were like a whirlwind and assembled into a top all of the signature blocks I received as outgoing President of the Wichita Mountains Quilt Guild in 1995. Yes, the blocks had definitely been aging in the UFO pile. I added the two borders, now I just need to have it quilted. I’ve been knitting on a shawl, trying my hand at reticella needle lace and doing a lot of reading. More about those in a later post.